11) What Can We Do? 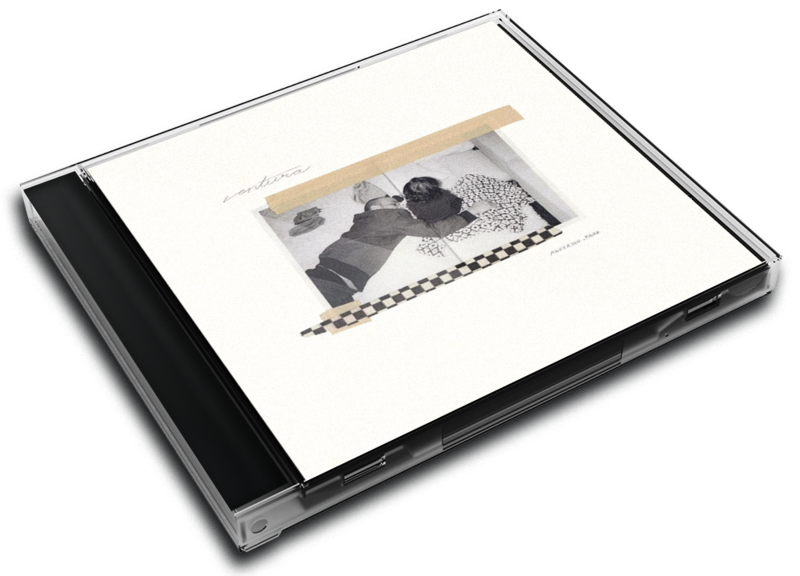 Ventura is the fourth studio album by American singer Anderson .Paak. It was released on April 12, 2019, by Aftermath Entertainment and Doug Morris's label 12 Tone Music. It features guest appearances from André 3000, Smokey Robinson, Lalah Hathaway, Jazmine Sullivan, Sonyae Elise, and Brandy, along with posthumous vocals from Nate Dogg, who died in March 2011 from multiple strokes. In May 2018, Dr. Dre leaked the title to Paak's third album, Oxnard Ventura during an Instagram livestream. However, the title of his third album was later changed to Oxnard. .Paak has stated in interviews that Dre let him have more freedom with the production on Ventura, following the more tightly produced Oxnard. In a March 2019 interview for Esquire, he said, " let me have a lot of leeway on Ventura. He was like, it seems like you got it. I spread my wings on the production and on the writing and on these collaborations." Last year’s Oxnard was Anderson .Paak’s first hard left turn. Working more closely with Dr. Dre, who gave him his original career boost on his own 2015 Compton, he jettisoned his warm, ingratiating funk in favor of sexed-up self-indulgence, hot-buttered excess, and hard-edged rapping. The project sold well but sparked such lingering criticism among fans that even his mom had to clap back at haters. After spending nearly three years working on his Malibu follow up, he took less than a year to redress it with Ventura. The soothing soul palette is back, this time coloring love songs and their sweet nothings, and Paak settles into his old polished grooves in search of comfort. Unlike the Internet, whose genre hybrids are seamless, or Smino, whose future-funk and soulful raps are effortlessly malleable, Paak’s songs can be traced directly back to their sources: the funk rock of Parliament-Funkadelic, the smooth, gliding strokes of Frankie Beverly & Maze, the glowing visions of Stevie Wonder, lush Dre-era G-Funk, the eclectic neo-soul of Sa-Ra. The Oxnard native is constantly showing his work, for better and worse. He is capable of imitation, if not flattery, in the form of a patchwork reimaginations. But he traces sounds of the past so finely that his own work disappears. Malibu got over on its earnest, introspective writing, which anchored its wide-ranging soul in something idiosyncratic and personal. Ventura doesn’t have as sharp of a perspective, but his generous personality still shines through from time to time. The gorgeous “Yada Yada” ponders the end of the world before settling somewhere this side of YOLO: “Our days are numbered, I’d rather count what I earn.” On “Good Heels,” Jazmine Sullivan plays a side chick who locked her things in Paak’s apartment. His girlfriend’s on her way there and he’s off in the Palisades with the key. His solution: She has to climb up the fire escape and break in. It’s an amusing and charming little vignette. Then, there’s “King James,” Paak's ode to black resistance and political action. “What we built here is godly/They can’t gentrify the heart of kings,” Paak sings. He follows the threads of activism in professional sports to community organizing, and a salute to service becomes a call to action. “We couldn’t stand to see our children shot dead in the streets/But when I finally took a knee, them crackers took me out the league/Now I’m not much for games but I play for keeps/And we salute King James for using his change/To create some equal opportunities.” It’s in these spaces that his songs come alive and become more than serviceable soul cosplay. Despite featuring several prominent rap producers, Malibu was like a hip-hop sampler with soul at its center. Oxnard hewed closer to rap in form and function, and suffered for it. Betting bigger on Paak’s abilities as a rapper proved risky; where his raspy squawk of a singing voice always communicates fervor, he strains as a rapper. Ventura seems acutely aware of this and rebalances accordingly. The leisurely grooves of “Winners Circle” and opener “Come Home” provide ample room for Paak and the chorus fleshing out his harmonies to breathe. The raps here, including the André 3000 verse, appear largely in the form of breakdowns or sections all to themselves. These moments often come as pleasant surprises, usually delivering statements of purpose (on “Chosen One,” a song otherwise about finding a perfect partner, he takes a second to offer: “To label me as The One, debatable/But second to none, that suit me like a tailored suit”) and they foreground him as a soul singer and bandleader first and foremost. Those who were hoping for a “return to form” from Anderson Paak will likely be delighted by Ventura, which bears inside it all the hallmarks of his breakthrough. This tune-up album, at the very least, restores the underlying feeling of his signature stuff. But there, too, lies its flaw: it’s a hollow effort lacking in any real distinguishing characteristics. The album never becomes more than the sum of its sounds.